Ahhh! The joy of a new computer! An opportunity to start fresh and leave all the worries of your slow, dusty, old computer in the past. However, whether you’ve just purchased a new computer or are thinking about it, it is crucial to start out with it the right way in order to have the best experience possible. There are several aspects in doing this, all of which will be covered in this series of 4 articles. This is the first article in the series and in it we’ll discuss the process of the best way to make the move from one computer to another. One computer to another can be a daunting process, but there are several things which you can do to make it go smoothly. Having a computer that works best for you is one of the most important parts of starting out the right way. So, before purchasing your computer, it’s good to figure that out. Is it a desktop or laptop? Are you willing to venture out and try different brands or types of computers? Among these two good questions to ask yourself, I encourage you to look at other features that you feel you want and/or need. Such as space, size, battery life and so on. Below are some MakeUseOf articles to help you with this process. Before you start moving files from one machine to the other, it’s good to check one more time for malware to ensure that you aren’t bringing over any unwanted “pests”. We have a lot about security on MakeUseOf and there are certainly many great programs to scan for malware. If you don’t already have one, take a look at the Malware Removal section on our Best Of Windows Software page for some suggestions. I’ll be honest, organizing files isn’t an easy task in itself. But it sure makes it nice when you move everything over to your new computer – I don’t think I need to explain why. It also makes backup super easy. In addition, backing up everything before the “big move” is a must. Should something go wrong in moving your files over, you really need a copy of everything to fall back on. Otherwise, it’ll be a pretty big buzzkill on the excitement of your new computer. For more information on organizing your files, check out the article I wrote – Creating Order From Chaos: 9 Great Ideas For Managing Your Computer Files Creating Order From Chaos: 9 Great Ideas for Managing Your Computer Files Creating Order From Chaos: 9 Great Ideas for Managing Your Computer Files It's frustrating isn’t it when you can’t find that file? When you’ve searched every folder imaginable on your computer, and somehow it got lost….or worse, deleted. Now, there are excellent search tools for Windows that... Read More . However, don’t think first that you need to organize everything before you back up. You need to back up now, otherwise you’ll have a disaster on your hands Prepare For The Worst: Disaster Recovery Tips You Need To Use Now Prepare For The Worst: Disaster Recovery Tips You Need To Use Now Your biggest enemy is simply putting it off. Read More . There are many ways to back up, some of them which are covered in the the articles linked to in this article, but I feel there are two routes that are the best for transitioning to a new computer – cloud storage and synchronization, and an external hard drive. And just to scare you into fear about what may happen if you don’t back up, Ryan has written an article about several disasters which have happened to real people in real life These Guys Didn't Back Up Their Files, Now Look What Happened These Guys Didn't Back Up Their Files, Now Look What Happened If there is anything I learned during those early years of working with computers (and the people that use them), it was how critical it is to not only save important stuff, but also to... Read More . The days of copy and paste are long gone. Sure, they’re still the reliable standby, but there’s an easier way than moving over all your files to an external hard drive (although they should already be backed up there) and then copying them onto your new computer. 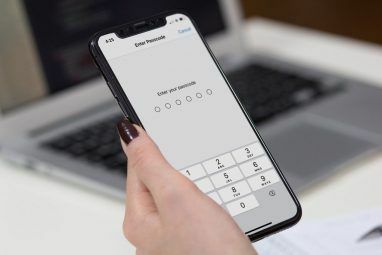 Another excellent article which I recommend reading is Read This Before Choosing An Online Backup Provide Read This Before Choosing An Online Backup Provider Read This Before Choosing An Online Backup Provider Backing up your files is a no-brainer - at least it should be. 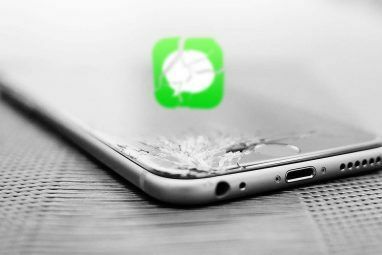 Hardware failure, security breaches, natural disasters, thieving scumbags and clumsiness can all lead to heart-in-mouth moments when you realise that your precious... Read More . Once you set up the service(s) on your old computer and sync your files to the cloud, set them up on your new computer, using the same account obviously, and your files will be synced over. It’s pretty nifty really and makes the whole process a breeze. In case you were wondering, you don’t have to find some obscure folder containing your browser information. It’s all in the browser synchronization. If you’ve already set that up, then you have nothing to worry about. Just sign in to your account once you’ve installed your preferred browser and everything should show up, although it might not happen instantaneously. All the popular browsers including Chrome, Firefox, Opera and Safari have features that allow for this. If you are more concerned just about your bookmarks (although you can set the browsers up to only sync those), Xmarks is another excellent option. All of these methods are covered in Tina’s article 4 Great Ways To Sync Your Bookmarks & Favorites Across Computers & Phones 5 Xmarks Alternatives to Sync Bookmarks 5 Xmarks Alternatives to Sync Bookmarks When you're switching between browsers and devices, do you wish you could sync your bookmarks? We'll show you how! Read More . Although browsers can save your passwords as well, it might not be the most secure configuration. I personally recommend using LastPass LastPass for Firefox: The Ideal Password Management System LastPass for Firefox: The Ideal Password Management System If you've not yet decided to use a password manager for your myriad logins online, it's time you took a look at one of the best options around: LastPass. Many people are cautious about using... Read More . It not only allows you to securely and easily log into websites, but it also increases your portability How To Be Completely Portable Without Your Own Computer Or Smartphone How To Be Completely Portable Without Your Own Computer Or Smartphone This day and age it’s pretty uncommon to not see someone with a smartphone, tablet or laptop in a public place like a library. We’ve become quite reliant on them, wouldn’t you say? So reliant,... Read More in accessing your passwords anywhere, including your new computer. NOTE: Internet Explorer doesn’t have browser synchronization, so in order for you to achieve this, you will need Xmarks and LastPass. There are alternatives, but these two are certainly the best. You do still have them, right? I hope so. Because if you don’t, you might have a difficult time haggling the companies of that software to give you a new code. To save them I recommend using Evernote, Microsoft OneNote 10 Awesome OneNote Tips You Should Be Using All the Time 10 Awesome OneNote Tips You Should Be Using All the Time Microsoft OneNote is just as good as Evernote. OneNote is the digital equivalent of a binder, giving you more organizational control. We show you effective note-taking tweaks you'll love. Read More , or a simple text document saved in Dropbox, Google Drive or another cloud storage service. If you use OneNote, be sure that you set it up with cloud synchronization to SkyDrive How SkyDrive And OneNote Web App Can Help Your Online Research How SkyDrive And OneNote Web App Can Help Your Online Research I was really excited to learn was that SkyDrive provides you with a free OneNote web app that you can use to do just about everything you do with your desktop OneNote application. When it... Read More to ensure your information isn’t lost. To find the serial numbers of your installed software, try using portable software such as License Crawler or Magical Jellybean Finder. Probably the best way to go about this is to create a list of the programs which you’ve installed on your computer, as you install them. However, who does that? Not saying no one does – I’ve heard of it before, but if you don’t stay on top of it, it can easily become forgotten about. Some programs can actually export a list of programs for you, two of which being Absolute Uninstaller Absolute Uninstaller: Don't Settle For The Default, A Better Solution For Software Removal [Windows] Absolute Uninstaller: Don't Settle For The Default, A Better Solution For Software Removal [Windows] When was the last time you wanted to uninstall something from your computer? Was it easy to do? Could you find the program to uninstall in the Windows default uninstall tool? Could you even find... Read More and the all-famous CCleaner Optimize Your System To Run At Its Best With CCleaner Optimize Your System To Run At Its Best With CCleaner Over the last two years, CCleaner has changed quite a bit in terms of version numbers...up now to version 3.10 at the time of this writing. While visually the program actually hasn't changed much (it's... Read More . CCleaner works great for Windows and Mac. However, if you’re a Linux user you’ll have to look elsewhere. In Danny’s article New Computer, Old OS- How To Migrate Linux Between Machines New Computer, Old OS: How To Migrate Linux Between Machines New Computer, Old OS: How To Migrate Linux Between Machines Technology is progressing forward at a pretty fast rate, so much so that it isn't uncommon for you to find yourself buying a new computer or computer part. For example, you may want to buy... Read More he covers how to list all the installed packages on your Linux system in a simple text file. There’s no better time to do this than when you’re starting with a new computer. The benefit is that you can save time by not installing programs that you only sometimes use. So once you have that list of programs, go through it and find the ones that you use all the time. If there are programs you want to try to find replacements for, this is also the best time to do that. If you want to go even more in depth, you can label the programs you have by importance and significance using and “A, B, C” or “1, 2, 3” system. A or 1 being the most important and C or 3 being the least. Changing Operating Systems? Research, Research, Research! If you’re moving from one operating system to another, you best know what to expect before you start using it. Granted, the best way to learn is to dive right in – and you should – but you’ll benefit more if you have some understanding under your belt first. We have several great articles about changing to different operating systems, whether its Windows 8, Mac or Linux. If you need some help with the researching aspect itself, the MakeUseOf article (which was also linked to in the previous section) – Conquer Your Next Research Project The Easy Way With These Tools Conquer Your Next Research Project The Easy Way With These Tools Conquer Your Next Research Project The Easy Way With These Tools Whether you’re in school or you have a job, you likely have or will have to research at one point or another. And if you’re like most people, you will have to do it several... Read More – should be of some assistance. Now for the fun part! How long have you been using that same wallpaper? It’s time for a change and a new computer is the best way to bring that about. 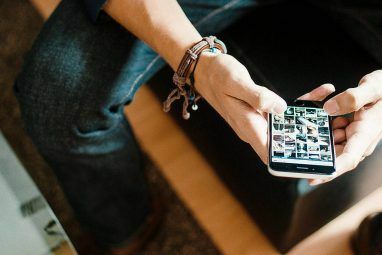 There are places all over the Internet for excellent wallpaper, including right here on MakeUseOf From Us To You: 6 Beautiful, Original Wallpapers By MakeUseOf Authors From Us To You: 6 Beautiful, Original Wallpapers By MakeUseOf Authors Every now and then, I write a wallpaper column. I usually pick a theme and go scour the Web in search of talented artists who have created beautiful wallpapers around that theme. And one of... Read More ! It’s not just about wallpaper though, there are some awesome tools that can spice up your desktop including Fences Turn Your Windows Desktop From Cluttered To Useful For Free With Fences Turn Your Windows Desktop From Cluttered To Useful For Free With Fences I'd like to start this post with a small request: Hit Win+D for me. I'll wait here. Go ahead, do it. Okay, done? What did you see? Was it a hot mess of cluttered icons... Read More , a dock, such as RocketDock, and other tools like Rainlendar and Rainmeter Customize Your Windows 7 Desktop With Emerge, Enigma & Rainmeter Customize Your Windows 7 Desktop With Emerge, Enigma & Rainmeter Having followed the progression of the Windows operating system, I can comfortably say that Windows 7 is probably the most well polished version of this constantly evolving operating system. With that said, watching cool new... Read More , which are both completely different accept for the fact that they both share the word “rain” in their name. For more information check out the article Make Your Computer Truly Personal With These Top Customization Tools How to Clean Up Your Windows Desktop Once and for All How to Clean Up Your Windows Desktop Once and for All Clutter is more detrimental than you realize. A tidy Windows desktop makes things easier to find, is more pleasing to look at, and reduces stress. We show you how to get your desktop in order. Read More . Now that you have the know-how to quickly and seamlessly transition to your new computer, you can prepare for the next step of getting your new computer, which are the essential “must-do’s”. If you’ve got a new computer, what are you looking forward to the most about it? Do you have any other advice, techniques, methods or ideas on efficiently transitioning to new computer that you’d like to share with the MakeUseOf community? If so, we’d love to hear them! This isn't the info I wanted. I want to install my old software from disc onto my new computer because I don't want to get rid of it or throw it away. You should just install Debian and become a worry-free jocky, the system is basically more secure than most system since it's not in the hacker's radar. Sacrificing your time to learn an system is better than not understanding anything about the system at all. Aaron, thanks for such a nice article. Even being a CCleaner user, I was till date unaware of its capability to Export A List Of Existing Programs. I would appreciate if you could provide a better software for finding keys, as Magical Jelly Bean Keyfinder & LicenseCrawler have failed to detect/find a few keys for me on Win7 64-bit. Feedback: I found 1 major thing missing in the article. How to export installed program settings. This is very important. Example, I have Outpost firewall and I have customized a few settings. So if I just take out the serial and install it on a new PC, I have to have all the settings to be re-done. Luckily, there is a export settings option- which I could use. So please do include this point in your part-1 article, as I believe it wil be very helpful to many people. Thanks for the feedback. As far as exporting program settings. Have you looked in the AppData folder? Usually that is where program settings are stored. That said, sometimes I like to leave those things behind and start off as fresh as I can with my new computer. Thanks. I'll check AppData folder folder for specific programs. You can backup with an external or pen drivess but I think you can also use the Migration Tool from Microsoft, if the new computer is a PC. For mac, only backup the files. This is whacked. 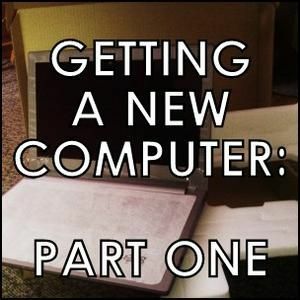 If "Getting A New Computer" is accurate, then part one should be generating requirements for the new computer. Part two or three or four, should be what is discussed here. Perhaps if it were retitled "GOT A New Computer" this would be part one. It's a sad day when we can't trust MUO's syntax. I agree - It's a nice article - but not what I expected based on the title. I would like to refer you to my reply to Bruce. But I'm also curious to here your feedback as to how "How To Transition From Your Old PC To Your New One" is unclear and not reflective of the content in the article. Thanks for your comment and I do welcome any additional thoughts you may have. What's the point in flaming an article for this? Why not offer some positive comments to augment what the author has provided? Please don't be such a glass-half-empty person. You are correct about the title. But I have seen much sadder days than this. With all do respect, the very first section of the article touched upon the topic of researching and requirements for a new computer. Why did I just TOUCH upon it instead of go into a whole article's worth of detail? Because we've already done that -- which is why I included a list of links also in that section. Unless I'm misunderstanding what you're saying, I feel that covers the premise pretty well. Thanks for your comment and I welcome any additional feedback if you have more thoughts. I guess you're a "My way or the Highway sort of guy! Sounds like you're a pro! Awesome set up there and that is true preparation -- a built-in, ready to use backup system. Nice! I like it.